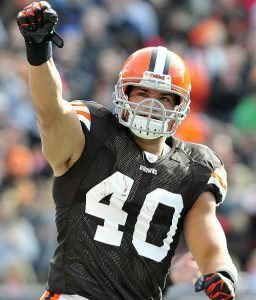 If the rumors are true, Peyton Hillis will be in a Browns uniform for the first time in five games. Hillis has been battling a hamstring injury over the last few games, and could be looking to gain some leverage in future contract negotiations against the Begnals. Following the first few weeks after Cleveland’s week one loss to the Bengals, I considered the game a fluke. The Bengals needed a quick-snap touchdown pass from Andy Dalton to A.J. Green with less than five minutes to go in the fourth quarter to take their first lead of the game. From there, it was if the Browns players were thinking “Here we go again.”, and were demoralized for the last few minutes of a 27-17 loss to open the season. Since then, however, I’ve come to realize that the Browns are still the Browns, while the Bengals seem to be the only Ohio team that’s worth a damn. Prior to the start of the season there was that all too familiar feel of optimism among Browns fans. Everyone knows the feeling I’m talking about. During the off-season, you watch as your “competent” front office works vigorously to improve the team through free agency and the draft. Even the players seem to be a little more optimistic, leading the fans to believe that this could be the year that their team finally turns the corner. It was supposed to be the Bengals that were heading for a run at the “Andrew Luck Sweepstakes”, and it was supposed to be the Browns that were going to rebound from a dismal 2010 season to have a respectable, at least, 2011 season. After all, the Bengals had to replace Carson Palmer and Chad Ochocinco with rookies, and no one really believed that Cedric Benson could be the workhorse Cincinnati was looking for. What everyone forgot, though, was that there’s still a defense involved, and for the Bengals, it just so happened to be a damn good one. Throw in the fact that, if not for Cam Newton, Andy Dalton would likely be the frontrunner for the NFL Rookie of the Year Award. Cincinnati’s D has kept them in most of their games, and Dalton has only had to do just enough not to lose the game. Cleveland, on the other hand, has probably been the most frustrating team to root for this season. Unlike previous seasons, there is actually reason for optimism moving forward if you’re a Browns fan. The trouble is there’s just as much reason for concern as there is optimism. The Browns have been so dysfunctional on offense that it isn’t funny – seriously, it’s not funny guys – but the defense has been in, or near, the top five in total defense all season long. However, Cleveland’s run defense is downright terrible and if not for Joe Haden in the secondary, their pass defense probably would be as well. The upcoming off-season is critical for the future of the Browns – probably the most critical of off-seasons since the Browns have returned to the NFL. For the first time in years the Browns front office has a roster they can work with, and luckily for the fans, they have a front office that they can work with. 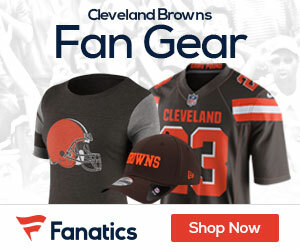 Hopefully Cleveland’s front office – which, by the way, consists of Mike Holmgren and Tom Heckert (two pretty good talent evaluators) – realizes how close this team is to becoming a serious contender in the AFC North. Sure there’s still a ton of work to do, and no one is expecting a massive turnaround next season, but if this off-season is a great one for the Browns, Cleveland will (finally) be a threat in the NFL. I would hate to see what some of Cleveland’s previous front offices would have done with this current roster. Hang in there Browns fans, we’re close…so close. Because of the way the Browns fell to the Bengals in week one, you got to believe that revenge is certainly on the team’s mind. After all, what else do they really have to play for? Reports are starting to surface claiming that Peyton Hillis is almost certain for Sunday’s game, and Montario Hardesty is on course to return for the Browns as well. Hillis and Hardesty’s return likely means Chris Ogbonnaya will be demoted to third string, a week after rushing for 115 yards in the Browns 14-10 victory over the Jaguars. As you begin to wake-up from your likely Thanksgiving Day food coma, here’s a quick look at what the Browns must do to come away from the second “Battle of Ohio” this season. The Offense must…well, you know. Start fast? Yes, that’s it, start fast. Cleveland’s offense has scored exactly nine points in the first quarter all season. In the first quarter of their previous match-up against Cincinnati, the Browns were down 10-0 before crawling back to take a 14-13 lead at the half. Poor Colt McCoy has taken a beating this season, and is fighting just to stay alive during most games. Luckily for him, though, rookie wide receiver Greg Little is really starting to emerge as a legitimate target on offense, and Joshua Cribbs has made a bigger impact from the wide receiver position than in the return game this season. Getting the ball to what little playmakers on offense he does have is critical for McCoy and the Browns offense. Sure, Hillis may return Sunday, but I’m not sure how much of an impact he’ll have anyway as Cleveland’s run game has been downright awful all season. Maybe it improves with Hillis, but I don’t see him getting a full workload on Sunday in his first game back off an injury. The Browns Defense needs to score. * Some of you may be saying, “DUH! Anytime the defense or special teams scores, it greatly improves the chances of success for that team.” That’s true, but watch a Browns game, and get back to me. A punt return for a score could very well be the team’s only touchdown. Coach to win the game. Meaning, don’t coach this game for evaluating purposes. I’m convinced that Cleveland’s front office is using this season for evaluating purposes – and only evaluating purposes. Evaluating the younger guys, getting them experience, and so on, appears to be the main concern for the management of the Browns. Well, we’re ten games into the season, how much more evaluating is needed? Cincinnati is the first repeat opponent on the Browns schedule. Marvin Lewis and the rest of Cincinnati’s coaching staff is probably licking their chops for Sunday to come. Cleveland has about as predictable of an offense as there is in the NFL. If the Browns hope to have any success against Cincinnati’s defense, Coach Shurmur and the rest of the boys will need to be creative on offense. Don’t hold your breath Browns fans. Watching the Browns play in recent weeks, I’ve started to notice a pattern. First, the Browns D will play well, but still give-up points and eventually settle down into a nice groove. Meanwhile, the offense will sputter for three and a half quarters, only to toss a late touchdown to make the final score a little more respectable. For some reason, I expect Sunday’s game to be a tad different. The Browns are coming off of their fourth victory of the season, and I believe the coaching staff knows they have to do something a little different against Cincinnati if they expect to win the game. I wouldn’t expect a massive offensive output, but I think the Browns play well in this one. Whether or not it’s well enough to win, that will be decided on Sunday.